DO NOT MISS OUT ON THIS OPPORTUNITY! Completely renovated contemporary home in the heart of College Park. One of the most desirable interiors and largest lots in the community. This gorgeous 4 bedroom, 3 bathroom home is move in ready. You will fall in love with your new chef's kitchen that features granite countertops, a large island, an extra deep sink, soft close drawers and cabinets, and brand new stainless steel appliances - including a wine cooler and a double oven! Enjoy a large split floor plan that flows beautifully, spare bedrooms with a Jack and Jill bathroom, and your master suite features a large walk in closet. New energy efficient windows with a transferrable lifetime warranty, luxury waterproof flooring, new lighting and updated electrical and plumbing have been installed throughout the home. The huge fenced in backyard is ideal for entertaining. This family community has no HOA, so bring your boats and jet skis for the two large nearby lakes with public water access! Enjoy your weekends playing on Dubsdread Golf Course. Short walk to College Park's well regarded shops and restaurants. Easy access to I-4, Downtown Orlando, Disney World, Universal Studios and all of the famous water parks for your leisure time. Don't miss out on this opportunity, schedule your showing today! Lot Size: 0.29 Acres / 12713 Sq. Ft. Directions:Exit 85 on I-4, turn onto E Princeton Street, right on Edgewater Drive, left onto Rugsby Street, left onto Eaton Lane, destination is on your left. SchoolsClick map icons below to view information for schools near 2415 Eaton Lane Orlando, FL 32804. Listing provided courtesy of Realty 320. MFRMLS data last updated at April 23, 2019 9:45:57 AM PST. Home for sale at 2415 Eaton Lane Orlando, FL 32804. 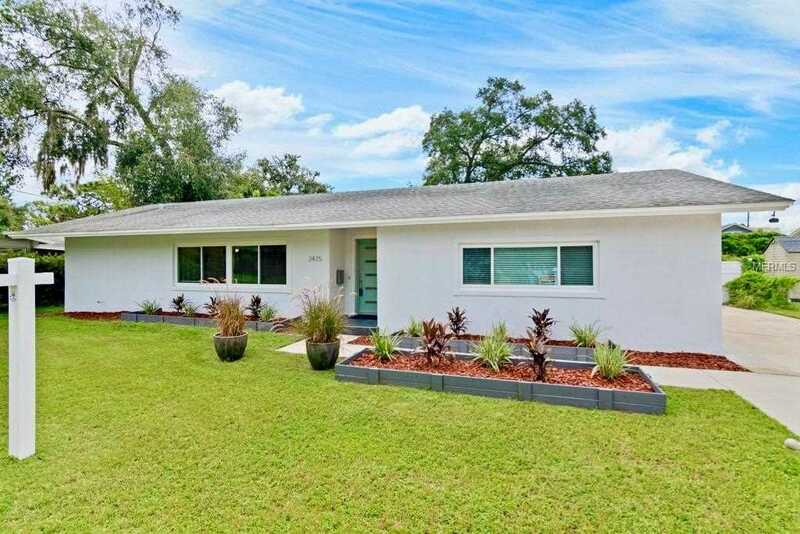 Description: The home at 2415 Eaton Lane Orlando, FL 32804 with the MLS Number O5729582 is currently listed at $525,000 and has been on the Orlando market for 242 days. You are viewing the MLS property details of the home for sale at 2415 Eaton Lane Orlando, FL 32804, which is located in the Eaton Park subdivision, includes 4 bedrooms and 3 bathrooms, and has approximately 2371 sq.ft. of living area.